In Clinic Reunion we welcome you to our harmonious and therapeutic environment. We are proud of being pioneers of many therapies focused in each and every one of the aspects that are they lost in the abyss of addiction. We understand that you want to begin a new life, it will start with the commitment to personal and under the firm belief that every human being deserves a second chance. In Clinic Reunion we are willing to give you the help you need refocus your way to meet you with yourself. We count with an extensively trained staff (nurses, psychologists, family therapists, personal consultants). Our experience not only has been experiential but professional gives us the certainty that we’ll help you. In Clinic Reunion we believe in helping you, and also helping others, as the foundation of a mutual aid program, every patient learns to share its experience with its environment to help others, and learn also to release their fears and guilt but above all returns to feel useful and safe. Crisis Intervention: Qualified therapists intervention, to achieve confidence and acceptance of the situation. External assessment: Clinic reunion offers a series of evaluations (psychological, psychiatric, and specialty medicine) to make a diagnosis and specific recommendations. Test of drugs: (Drug Check) A comprehensive test, which analyzes six different types of substances and its result is obtained in just a few minutes with a reliability of 97. We assure they will be conducted on a completely confidential basis. Courses and workshops on prevention of addiction: These are designed for people interested in acquiring knowledge about diseases such as alcoholism and drug addiction. Participants acquire the necessary tools to be able to identify the disease, its consequences and ways to avoid risk factors that trigger addiction. Treatment for Adolescents: We also offer Adolescence is a period full of changes, what is considered a critical stage in drug use, causing an interruption in the process of emotional growth, physical and mental. So it’s important to call early intervention to prevent drug and substance abuse. Women-only treatment: Because we care about providing the right environment to attain a decent, reliable and completely confidential. Treatment for relapse prevention: So we have a special program that consists in identifying warning signs and symptoms to prevent relapse. 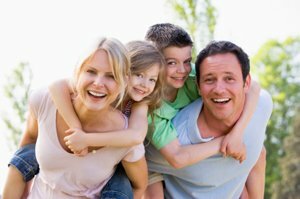 Family Treatment: This aimed to improve communication and expression of emotions within the family, with the goal of family reunification. We specialize in chronic relapse with drugs’ treatment of those people who do not seem to stay clean and sober long enough term to really get help. They usually have a psychiatric disorder coexisting such as Bi-polar, anxiety disorders, panic and depression than if the capacity is not to deal with the realities of the everyday life increases the likelihood that not control the euphoric effects of alcohol and drugs. Our program focuses on long-term solutions. We recognize the importance of treating and do not believe in “institutionalizing“, that is the main reason because our patients live in a supervised real environment and learn to cope with the everyday realities, which we consider an important factor contributing to its long-term success.